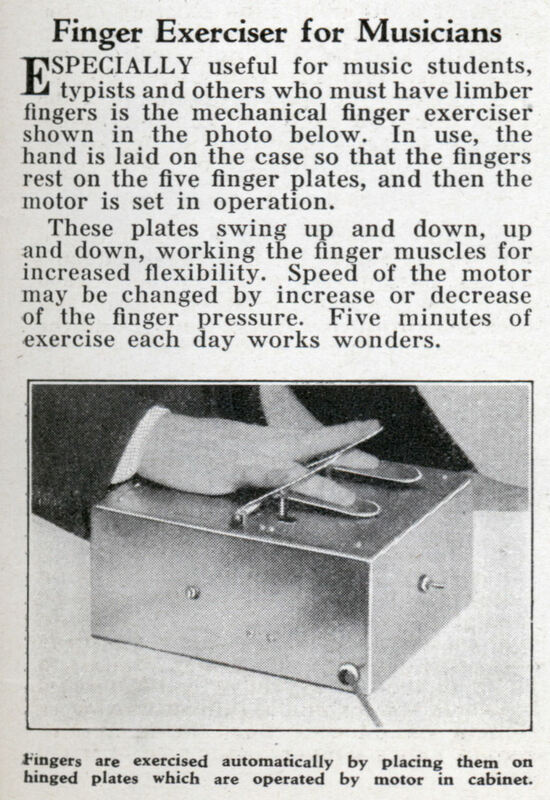 ESPECIALLY useful for music students, typists and others who must have limber fingers is the mechanical finger exerciser shown in the photo below. In use, the hand is laid on the case so that the fingers rest on the five finger plates, and then the motor is set in operation. These plates swing up and down, up and down, working the finger muscles for increased flexibility. Speed of the motor may be changed by increase or decrease of the finger pressure. Five minutes of exercise each day works wonders.